Whether it is for farming, building, boating, camping, shelters, car or outdoor furniture covers, we offer a range of waterproof tarpaulins ranging from lightweight to heavy duty. The tarpaulins are available in various sizes, materials and densities suitable for all budgets and requirements. Tarpaulins are availiable in either a lightweight Economy option or as a heavyweight Super Tarp. 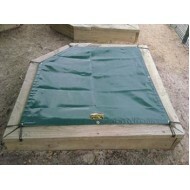 We also stock Sandpit Covers, which are available in ready-made sizes, or can be custom made to fit any size sandpit. Sandpit covers are popular with schools, playgroups and also for home use and help to keep sandpits clean and free from animals. Sandpit covers are a cost effective way to protect your sandpit from adverse weather and also from c..